U.S. Passport Photos, Visa and Immigration photos, Biometric EU & Asian Passport photos & OPT application. 2 convenient locations; Downtown San Diego (just 4 blocks from the San Diego Passport Agency) & Vista, CA (in the North County). Photos are Ready in Minutes, All Work Guaranteed and No Appointment Necessary. eVisa & Foreign Passport digital images (i.e., Brazil, Canada, India and UK) are available. Also, for U.S. Non-Immigrant Visas. 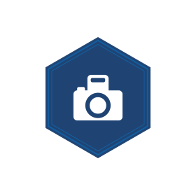 Canadian Passport, Canadian Permanent Residence, and Canadian Tourist & Work Visa photos and digital images are also available. The digital images are ready in minutes, and emailed to you for immediate upload with your application. The photos in just a few minutes. Since 1947, A-1 Broadway Foto has been proud to provide you with the best in Passport and Immigration photos, Ink Fingerprinting, and Digital Images for online passport applicatons and non-immigrant visas. We have 2 location, covering the entire San Diego County, and our San Diego location is within walking distance to the U.S. Passport Agency in Downtown San Diego. COME HERE FIRST for the Passport Photos & Passport Applications. We will direct you to the nearest Passport office; some within walking distance. U.S. Passport, Visa and Immigration Photos. Also photos for: Canadian Passports, BioMetric EU Passports & Schengen Visas, UK Passports & Visas, Australian & New Zealand Passports. We photograph Infants & Toddlers, and no appointment necessary. 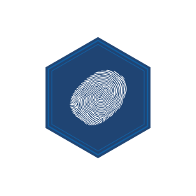 Ink Fingerprinting is available at our 2 locations on a walk-in basis. We have 80 years of combined fingerprinting experience, and can furnish the standard FD-258 cards if needed. They are done right the first time, and no appointment necessary. Quality work at reasonable prices. Most major credit cards accepted. Now with Apple Pay at both locations. We make passport photos to the exact specifications of each country, and our passport photos are not rejected. Our decades of experience means that we know what many of the various agencies need already, and in most cases have done them many times before. For non-passport applications, we can make photographs to almost any specification that you can provide us, up to 4"x6". We make sure they are done right the first time, and all work is guaranteed.